Wrestling shoes have come a long way since the original Onitsuka Tigers that were made in the 1970s. Buying, selling, trading, and collecting wrestling shoes has become a subculture of the sport that not many people expected. I, myself, have what I thought was a healthy wrestling shoe collection. Then I started doing research on this article. I had no idea how deep this rabbit hole went. 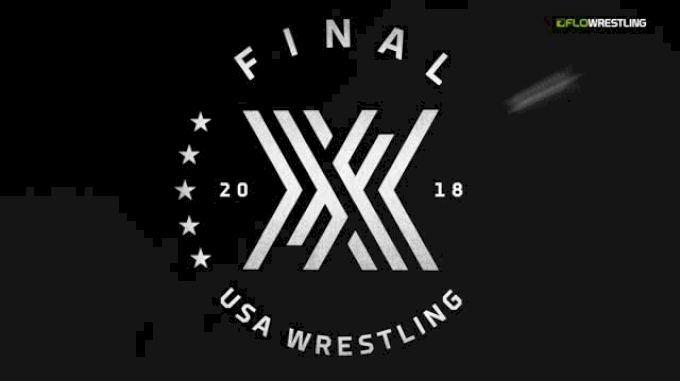 No one is surprised by the passion demonstrated by athletes and coaches about the shoes -- it's probably just that the words "wrestling" and "fashion" rarely collide in the same sentence. This is a problem that guys like Cliff Fretwell are trying to remedy. Cliff owns CMP Clothing, an apparel company that specializes in providing fashion conscious gear to a fervent wrestling community. 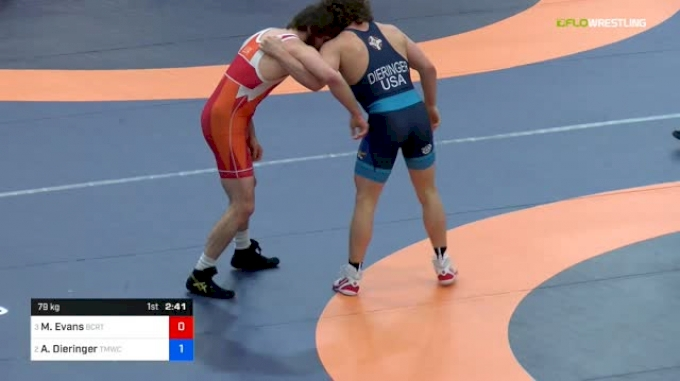 "Wrestling is such a humble sport," Cliff said. "There isn't a lot of fanfare and flash outside of the competition itself but if you stroll out on the mat with some hard to find, full bump, fresh out the box pair of shoes you make a statement." So, what statement do they make? I'm finding that everyone's is different. Some people collect shoes as a means of nostalgia. The biggest wrestling sneakerhead, or "feet geek," who I know personally is Craig Frost. His shoe collection started as series of post-tournament rewards from his late father. "The deal was simple, if I won a tournament my dad would buy me a pair of wrestling shoes," Craig said. 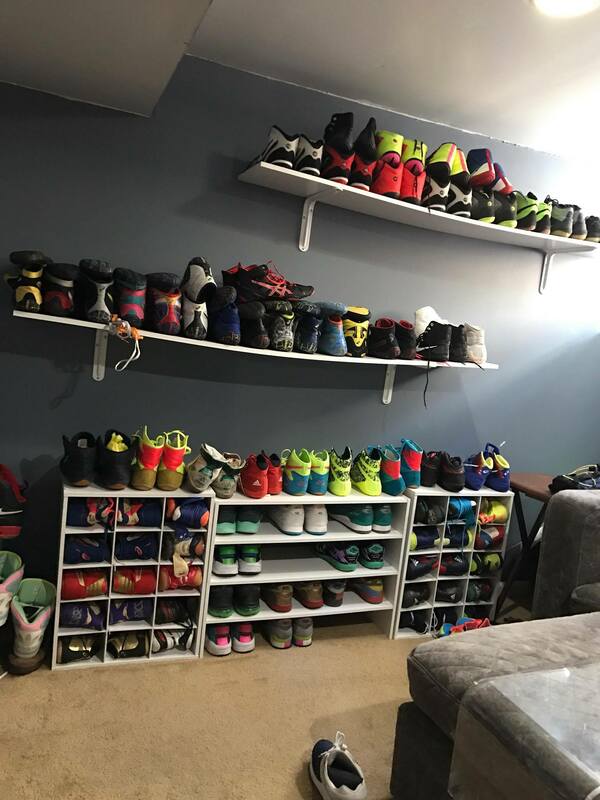 It's this type of positive reinforcement that has landed Craig in the position to have an entire room of his house dedicated to wrestling shoes (yes, seriously). 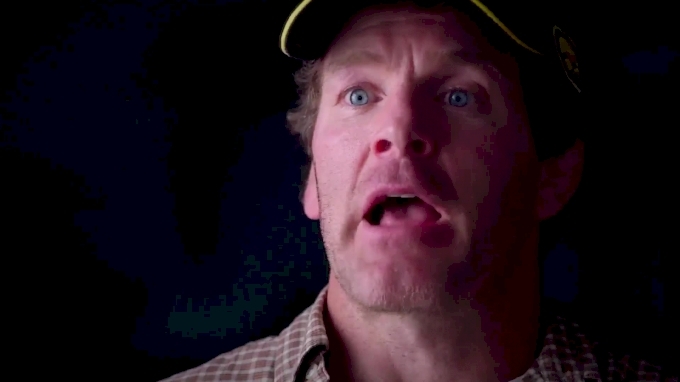 In any given year Craig will spend upward of $2,000 just on wrestling shoes. Craig, now 35, lives with his girlfriend in Roselle Park, New Jersey. He's a project manager for Telmark Packaging, and coaches at Yale Street Wrestling Club on the side to help fund his sneaker habit. "I only coach because I love to," Craig said. "It's a side gig for me. So I basically just take on private lessons as a means to buy more wrestling shoes. I think of it like 'OK, after this private I'll be able to buy a pair of Freaks or something like that." "It went in stages. At first she didn't understand," he said. "She thought I was an idiot. Next she was disgusted at how much money I was spending on these shoes. Now she embraces it. She even surprised me with a pair of Tech Falls as soon as they came out." Other people approach wrestling shoes almost as a business. There are kids who head to tournaments like Super 32 and Fargo with no intention of winning a match -- instead, they're on a business trip. I've heard of kids showing up to Fargo and going home with $3,000 in cash in their pockets all from buying selling and trading gear (not just shoes). Super 32 was the first tournament that I started taking pics of the athletes' shoes. But after seeing just how deep and passionate this subculture is, I will keep this article as a running log to monitor which tournaments are bringing the most serious shoe heat. I am not the only one that has taken notice to this trend. In fact, some of the younger generation are beginning to pick up the proverbial ball and run with it. Have you ever heard of Yeezys? If not, here's the short and skinny: hip-hop artist Kanye West collaborated with Adidas and created a limited-edition men's sport-fashion line. The shoe line ranges from Ugg-looking-boots that go for $1,250 on the re-sell market to a cross-training sneaker (that no one trains in) called the Yeezy 350 Boost that will run you $2,500. What if someone did that with wrestling shoes? 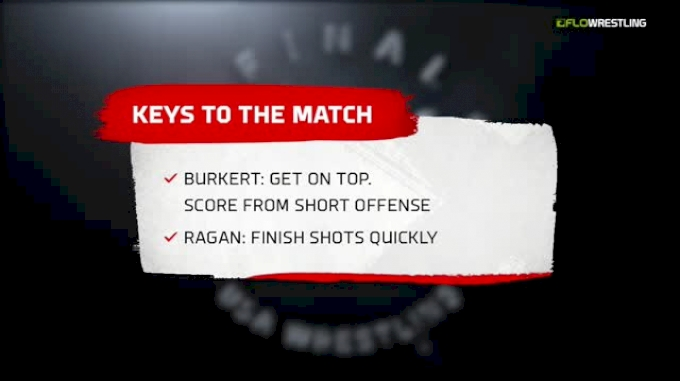 Michigan freshman Connor Boike is way ahead of you. Allow me to introduce you to the next generation of wrestling fashion: Wrestle Boutique. 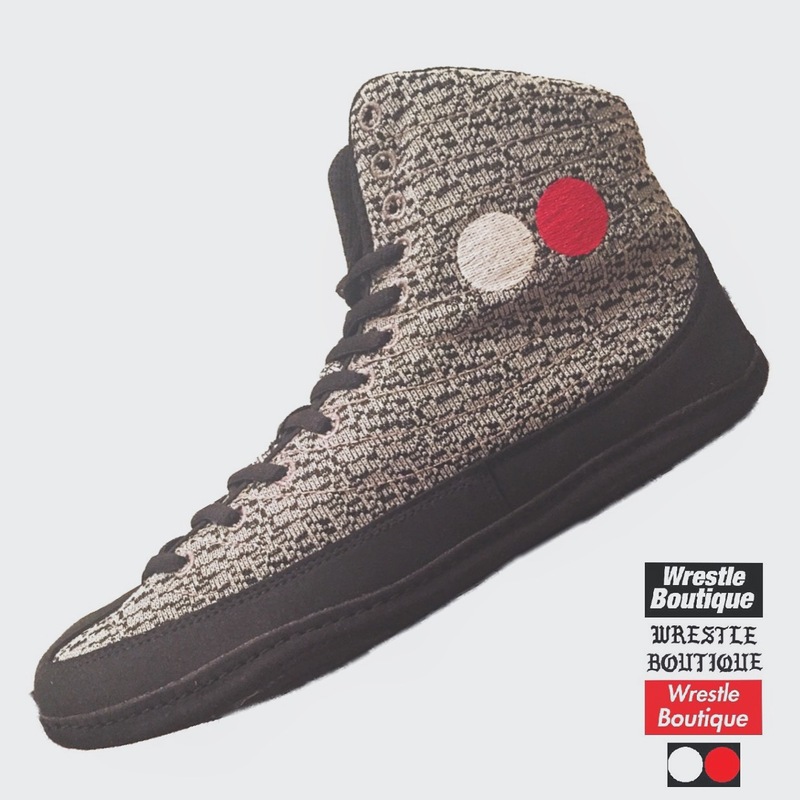 Wrestle Boutique will release their first high-end, limited-edition wrestling shoe this Saturday at 1 PM EST exclusively on wrestleboutique.com. The shoe, aptly titled the WB1s, will retail for $185, and only 10 pairs will be sold. I caught up with Connor on Thursday and asked him a little bit about Wrestling Boutique's backstory. "I started Wrestle Boutique because I wanted to find a way to give back to the Funky Flickr Boyz community," he said. "I took all of my knowledge within both the wrestling shoe market and the sneakerhead market and created a wrestling company which supports individuality, pop culture, and Funky Flickr Boyz all across the world." The Funky Flickr Boys are an entire article unto themselves. Considering that I am more of a wrestling shoe newbie, I'll simply leave their existence and origin as mysterious and convoluted as it is to me. If you know exactly who they are and how they came to rule the wrestling shoe secondary market then you're an insider. I am not. The foresight involved with Boike's company is all-about the secondary market. All of the prices mentioned above for Kanye's "Yeezys" are what the shoes will fetch on the secondary market -- the retail prices are usually far more reasonable ($200-$350). The secondary market value of a shoe is determined by a few things. One thing is who's wearing them. Before he had his own signature shoe, Jordan Burroughs won an Olympic gold medal in a pair of throwback Asic Ultraflex. After they hung the medal around his neck, those particular shoes went from $50 to about $500 on eBay. The next, and more predictable measurement of value, is the rarity of the shoe. There are shoes that were made in the late 90s and early 2000s that no one knew would become collectors' items. Kendall Cross, Les Gutches, and Carey Kolat all had signature shoes that will fetch big bucks on sites like Flickr and eBay. I reached out to Kendall and asked him what he thought of the way these old school shoes have become the obsession of young wrestlers across the country. "Who knew throwback shoes were going to be such a big thing?" Cross said. "It's pretty cool to have my name associated with Adistars! I was as the only American to wear Adidas in the '96 Olympics. I'm not surprised every kid in the country wants them. They fit like a strong moccasin. Sole placement was perfect for me. And they have a cool look. Frankly, one of the best, if not the best, wrestling shoes out there! Let's bring them back." Many of the late-90s Adidas are pretty sought after, Kendall's shoe is fairly high on that list, but I wanted to know which shoe was the most rare, the most hard to find, and, by proxy, the most expensive. 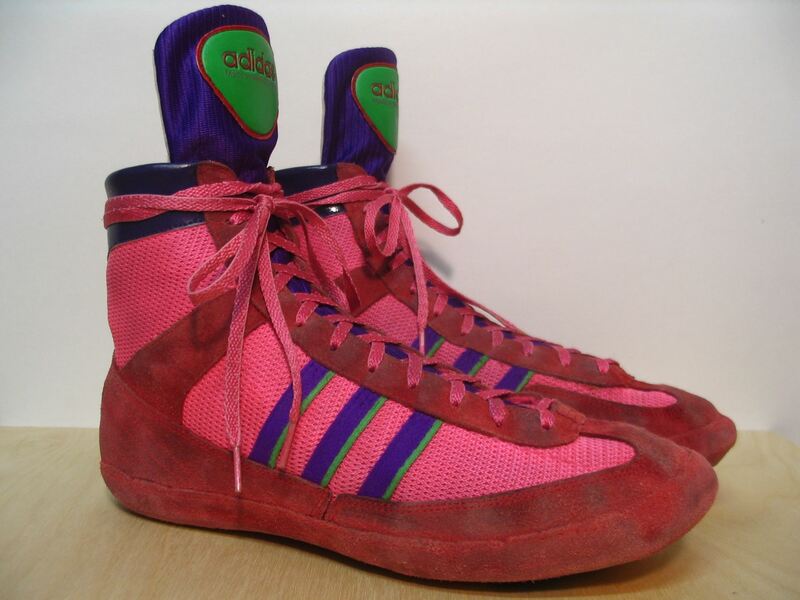 I took to Twitter to ask the wrestling public what was the wrestling shoe "Holy Grail." The answer came pretty unanimously: the 1988 pink Adidas. They go for anywhere between $3,000 to $4,000 depending on their condition. "I've never even seen them in person," Craig said. "The Pink 88s are unicorns." It is impossible to know exactly what direction this subculture is headed and, more importantly, if this will all reach a tipping point. But I can say with confidence that it has changed the wrestling shoe market. It used to be that only Olympic gold medalists would get their name on a shoe. John Smith, Dan Gable, and Cael Sanderson all had shoes with their autograph sewn on the side. 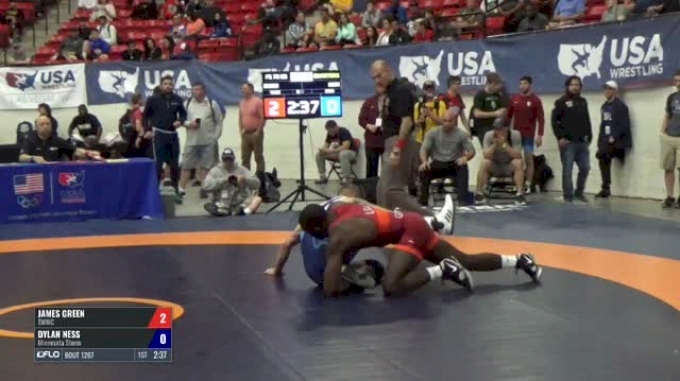 A couple of years ago, Adidas took a leap of faith and put two guys on a shoe who have never even made a world team in David Taylor and Jordan Oliver. I can see this being more of a trend in the years to come. Companies may not even stop at athletes. The fact that coach Mike Krause doesn't have a signature wrestling shoe is beyond me. The guy travels the country speaking to and teaching hundreds of young athletes at a time. Coaching is a far more sustainable career than wrestling full-time, so he'll be in the public eye for a longer period than the athletes that have their own shoe. At the end of the day, the question of why this has all come about isn't really that important. 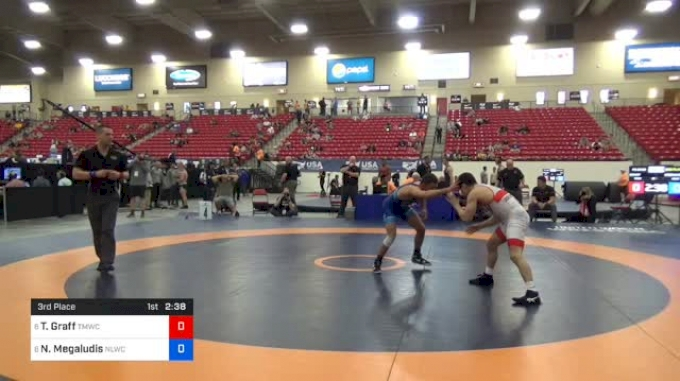 The fact that wrestling has a subculture surrounding it is evidence of a thriving sport. What's more is that the wrestling shoe subculture is sprouting spin-off businesses. Boike's Wrestle Boutique is one. There is a kid in Florida who fixes busted soles and does custom jobs. He goes by ToughSoleSwap on Instagram. There is a whole knockoff industry too. Brand new, in-the-box Nike Olympic Editions go for around $1,200, but you can get replicas made in China for $99. Whether you're buying your first pair of wrestling shoes or you have an entire room dedicated to them, you're definitely part of a club. If you put more than a second thought into what shoes you wear when you wrestle, you may just be a wrestling sneakerhead. Either way, you're contributing to a culture that surrounds and strengthens the sport, and for that I thank you. Please comment below with your favorite/most rare shoe.